We start with extensive preparation. 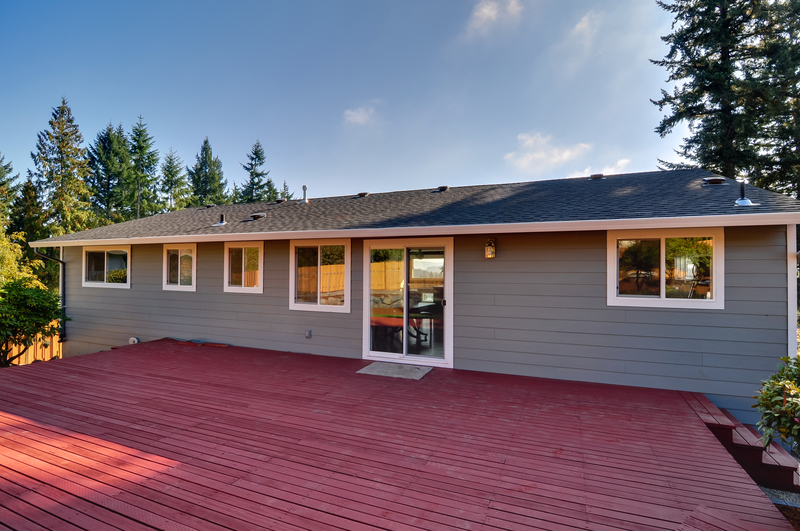 This includes deck sanding, and pressure washing. During the pressure washing process we inject cleaners through our equipment to kill mold and brighten the deck. These preparation procedures are important to make sure the new stain soaks in and grabs onto the decks wood fibers. We then wait a couple days for the deck to dry out. Before we start staining your deck we protect your plants and patio underneath with drop cloths and plastic. Our deck staining crew is now ready to begin. We first focus on the railings working together to make sure all drips are back brushed and the stain is applied uniformly. After the rails are completed we start on the deck floor. 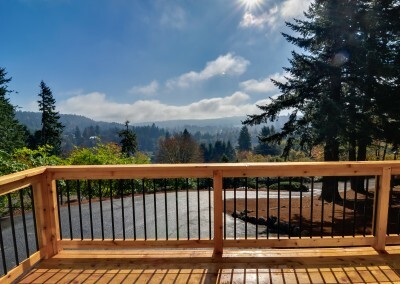 Why do decks need to be stained? The main composition of wood contains cellulose fibers and lignin. Lignin is responsible for the strength of the wood and holds the fibers together. UV damage will destroy lignin, leaving the cellulose fibers to disintegrate and fall off the surface. Wavy features and raised surface grain represents prolonged UV damage. What you see is damaged lignin with valleys in between. The valleys are representative of the missing cellulose fibers. Your deck needs to be protected with a high quality sealer that will prevent this UV damage and slow down natural decomposition. 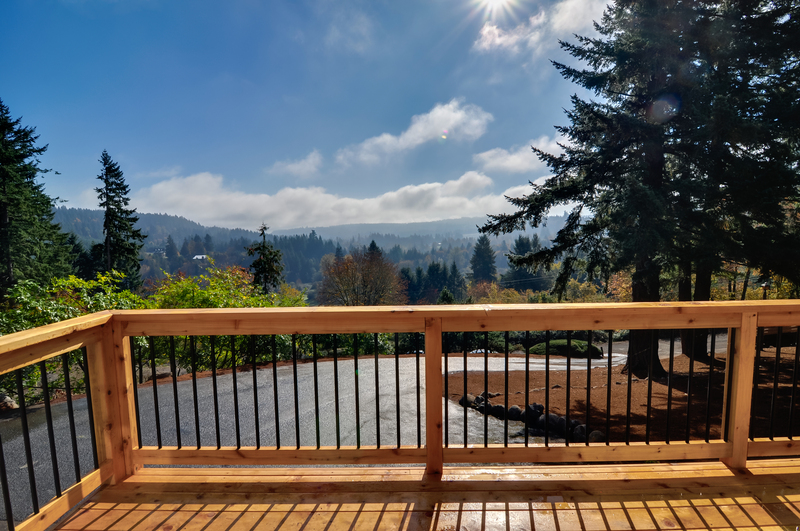 Deck Staining in Portland Oregon requires products that are successful in our climate. 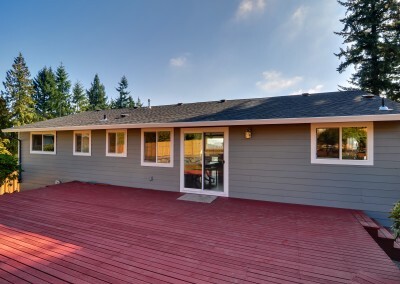 The best policy is to go with a penetrative stain that soaks deep into the wood and offers UV protection. The alternative is a film-forming stain which sits on the outside of the wood like a thin sheet of paper. While film-forming products offer a uniform look, the stain will eventually peel when applied on a horizontal surface. When choosing a penetrative stain you want a product that will offer UV protection. 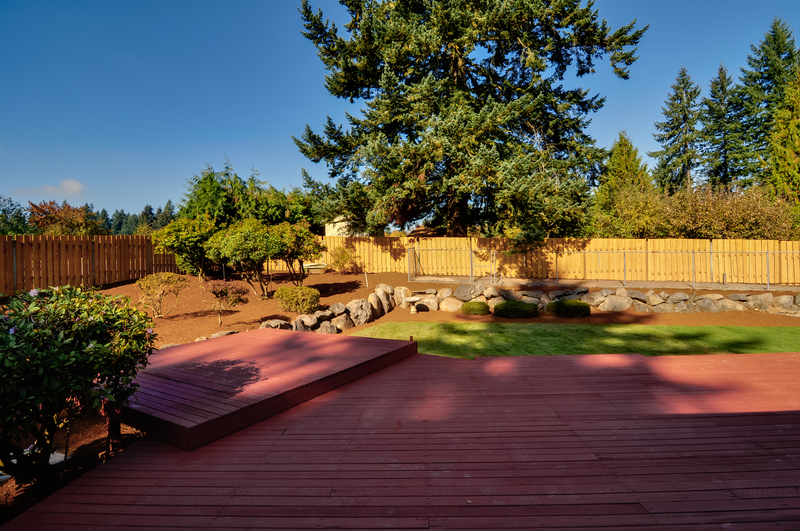 Clear stains are appealing to some people because they enhance the look of a new cedar deck by making it look wet but offer little to no UV protection. 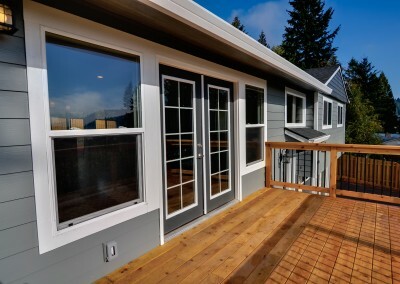 Because they offer no UV protection you typically have to re-coat the deck every year otherwise it will become grey and damaged. 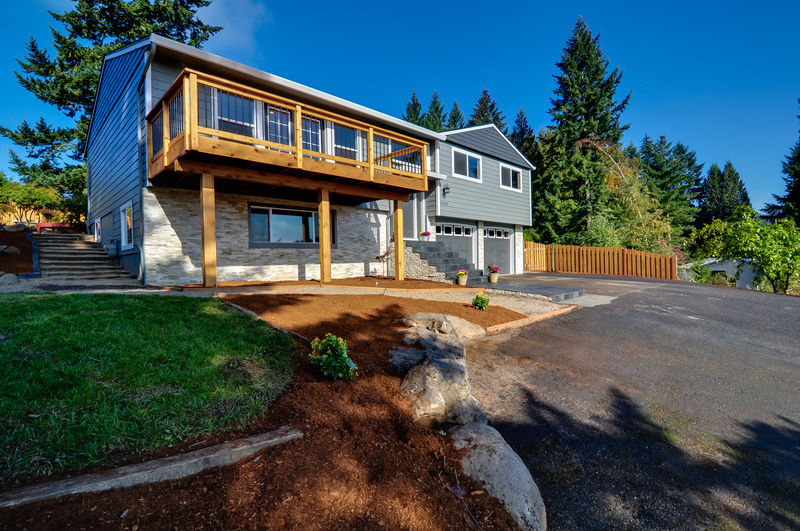 With our company based in the heart of Northwest Oregon we use a penetrative deck stain for our customers that looks good with proven results for superior durability and UV protection. 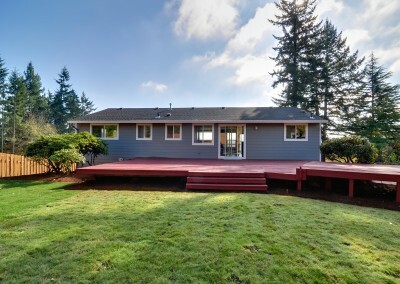 In some cases your deck may warrant a two tone application. A two tone application involves painting the deck railings and staining the floor. Typically, the color of the railings are painted to match the house siding while the deck floor is stained with a translucent or semi-transparent stain. 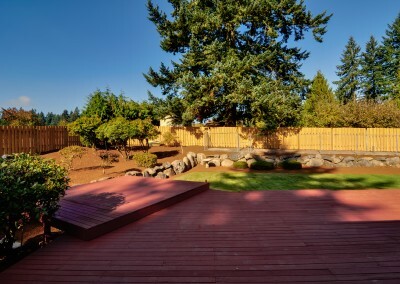 Contact us for a free, on-site deck staining estimate! We tell you the price up front so you know exactly where your money will be spent. 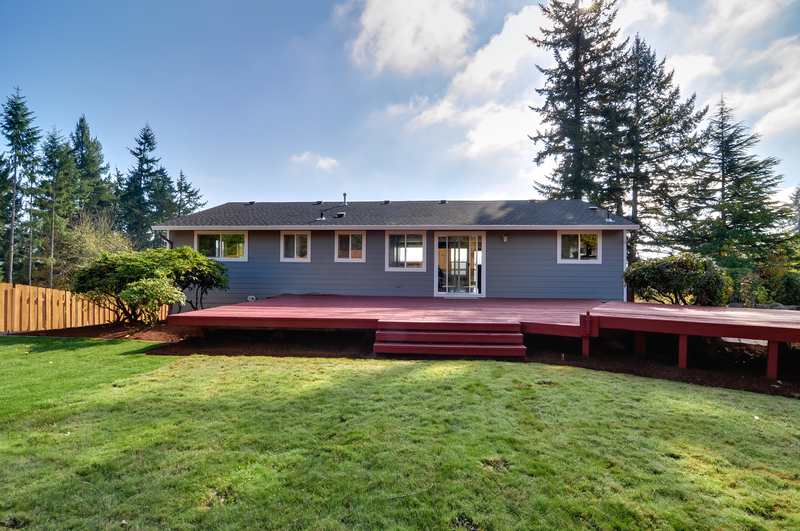 Call to learn more about how Fine Finish Painting in Portland, Oregon can help make your deck look new again!